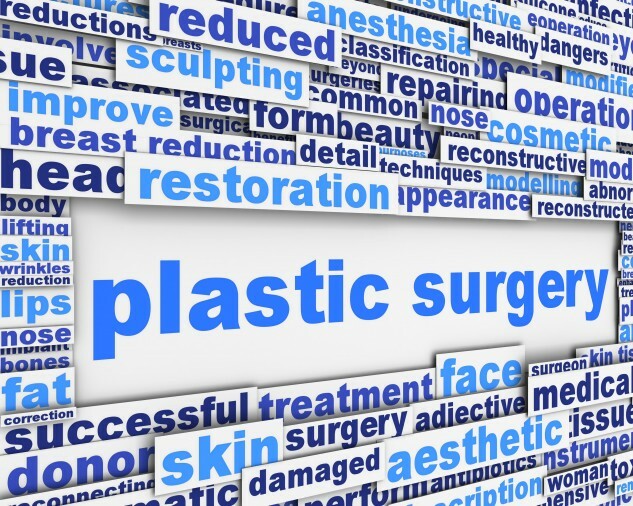 All surgeries carry some risk of complication, although plastic surgery is generally safer than more invasive surgeries. Overall, complications are rare, but some complications are more common in some procedures than in others. Anesthesia complications: Some patients have a bad reaction to anesthesia, especially those who are obese or have heart or lung disease. Complications range from irritated air passages that spasm and block airflow to brain damage from low blood flow. Rarer but still possible complications include malignant hyperthermia (dangerously high body temperature, heart rate and blood pressure) and death. Bleeding: Some bleeding during surgery is normal, but too much blood loss can cause a dangerous drop in blood pressure, which could lead to a heart attack. Blood clots: These often occur in the legs and are more common in long surgeries and those done under general anesthesia. A clot that blocks a blood vessel can cause tissue damage in the immediate area. If it breaks loose and travels to the lung or heart, it can be fatal. Infections: Sterile environments and the use of antibiotics make this complication rare, but when it does happen, it can be very serious and needs immediate treatment. Necrosis: Some tissue death is normal with surgery, and the body can clean up the dead cells by itself. If too large an area of tissue dies, you may need surgery to remove it. This can affect the final appearance of a cosmetic procedure. Nerve damage: Small nerves always suffer damage when you cut into the skin, but major nerve damage is rare and usually the result of surgeon error. Permanent, devastating damage occurs in about 1 in every 1,000 face-lifts. Asymmetry: The human body is not completely symmetrical, so a slight imbalance between the two sides of your face or body is normal, but an obvious difference may require additional surgery to correct. Hematoma: This is a collection of blood around the surgical site, outside the blood vessels. The body is usually able to clear it on its own, but sometimes it requires another surgery. It’s most common after facelifts, and men, who have extra blood supply to their beard follicles, experience it more often than women. Seroma: Serum, the clear, watery part of blood, can leak out of damaged blood vessels. Seroma is a collection of this fluid around an implant or surgical incision. It is most common after a tummy tuck, and also occurs frequently after liposuction and breast enlargement. Scarring: Scarring is normal from any surgery, but is something you want to avoid when the surgery is intended to make you look better. Experienced surgeons know how and where to cut to minimize the appearance of scars. Numbness: Temporary loss of feeling is common after face-lifts, tummy tucks and breast surgery. It’s also common around any implant. Ptosis: This is a fancy name for sagging and drooping. It is relatively common after eyelid surgery, but is easy to correct. This might seem like a long, and even scary, list of complications, but the risks that these occur are rare, and plastic surgery is generally one of the safest surgeries. That said, it is worth noting that liposuction is the most dangerous cosmetic procedure you can undergo. Common complications range from blood clots to organ puncture and infection. A perforated intestine is especially dangerous, as it allows intestinal bacteria into the abdominal cavity, causing a very dangerous infection. Also, if your skin does not shrink to fit the new, slimmer you, you might need more surgery to remove the extra skin. Some preexisting conditions, like diabetes, high blood pressure and heart or lung diseases, can increase your risk of complications. Smokers are also at a higher risk of some complications. Having multiple procedures at once also increases your risk.